Arsene Wenger has expressed his desire to extend his association as manager with Arsenal, a club that he has been associated with for the past 20 years. Wenger, 67, said he wasn't contemplating retirement as yet and would look to manage elsewhere if Arsenal shut the doors on him. Wenger’s stay at Arsenal has become less likely particularly after Wednesday's 5-1 Champions League loss to Bayern Munich. "No matter what happens, I will manage next season, whether it's here or somewhere else. That's absolutely for sure," Wenger said. "It is not a threat, not at all. My preference is always to manage Arsenal and I have shown that. I am adult enough to analyse the situation. "I do not want to talk any more about my personal situation. What is important is the next game. We had a big disappointment, we lost, and we want to win the next game." Asked if he will follow in the footsteps of Sir Alex Ferguson, who retired after 26 years as Manchester United boss, Wenger replied, "Ferguson has some other interests in life and he was older than I am today. He was four years older, he retired at 71 and I'm 67. "Maybe more, maybe less, I don't know," he said. "Everybody is different on that front and I do not want to take anything away from Ferguson, he was an absolutely unbelievable manager but he had enough, he had enough, and I'm not at that stage." 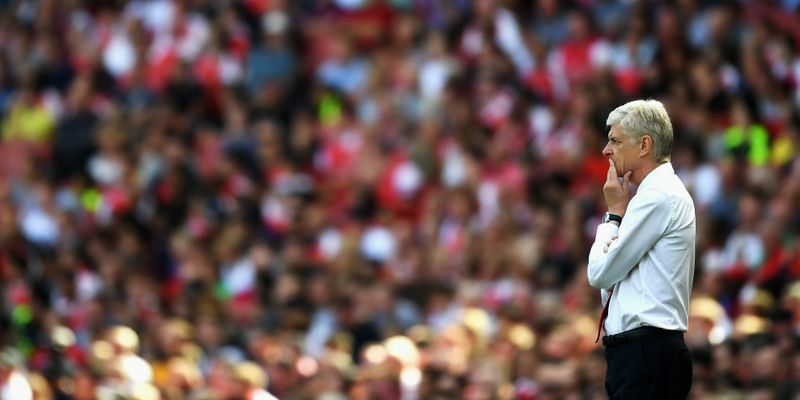 He said if he were to end his 20-year association with the Gunners, he would be looking to remain in management rather than retire.